The next Panda could share a platform with an Opel minicar if Fiat merges with GM Europe. TURIN, Italy -- The key to Fiat CEO Sergio Marchionne's vision of combining Fiat and GM Europe's operations is sharing platforms between the two companies and benefiting from better economies of scale. Fiat CEO Sergio Marchionne believes he could save 1 billion euros a year from merging Fiat with GM's Opel, Vauxhall and Saab brands. The two companies have done it before. As part of their 2000 to 2005 alliance, Fiat and Opel/Vauxhall co-developed the platform that underpins the current Grande Punto and the Corsa small cars. Some 750,000 units were built on the Punto/Corsa platform last year according to J.D. Power Automotive Forecasting. This figure could rise to about 1 million units in the next three years when the new versions of the Corsa and Grande Punto are launched, along with Alfa Romeo, Lancia and Chrysler versions in the U.S.
Marchionne said 1 million units a year built on a shared vehicle platform is the minimal scale required to be profitable. Fiat also urgently needs a partner to achieve reasonable scale in the lower-medium segment. Last year, the carmaker built only 160,000 units of its three models in the segment, the Fiat Bravo, Lancia Delta and Alfa Romeo 147. Opel/Vauxhall last year built in Europe almost 650,000 units of the Astra family and Zafira medium minivan. Production of lower-medium cars with a shared Fiat-Opel platform would reach 1 million units a year with the addition of lower-medium models built by Chrysler in the U.S.
A shared lower-medium architecture would be a priority for a future Fiat-Opel deal. Fiat has its C-Evo architecture, which was developed for the Alfa Romeo Milano. The Milano will replace the 147 next year. This could be possibly be offered to Saab but will not become the lower-medium volume architecture of the proposed alliance. Most likely, Fiat will switch for its volume models to the platform Opel has developed for the next generation Astra, which will be launched at the Frankfurt auto show in September. Fiat and Opel could aim for production of 1 million units also in the minicar segment, but this will take longer. Fiat last year built more than 450,000 units of its 500 and Panda minicars. But Opel has just replaced the Agila minicar with another model based on a platform from Suzuki. This would delay a convergence until the middle of the next decade. The eventual convergence could happen on the new generation of the Fiat A-architecture. 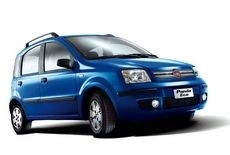 This is due to debut in 2011 with the replacement for the Panda. In the upper-medium segment, history could repeat itself. The current Fiat Croma is based on GM's Epsilon architecture, which was created for the Opel/Vauxhall Vectra. Both the future Croma and the replacements for the Alfa Romeo 159 range could switch to platform used by the Vectra replacement the Insignia. Analysts have mixed views on the outcome of a possible Fiat-Opel deal. "We believe that combining Fiat, Chrysler and GM Europe would forge a global small car champion able to benefit from low cost manufacturing and a global reach," said Stefan Burgstaller of Goldman Sachs in a note to investors. Massimo Vecchio of Mediobanca Securities in Milan is more skeptical. He wonders if Marchionne can repeat the miracle he achieved at Fiat where he turned a 1.5 billion euros net loss in 2004 to a 1.6 billion euros profit four years later. Said Vecchio: "In 2004 Fiat had company specific issues being the only car maker losing money in Europe. Now the situation is bleak for the whole sector."